‘Excessive! Outrageous! Obscene! Immoral!” and “Many of them deserve it. That is the only way to attract talent.” That was the range of comments I heard in response to the Forward’s recent survey of Jewish communal leaders’ salaries. These responses highlight that we, as a community, need to have a frank discussion about how we compensate our leaders. With younger Jews already not as inclined as their parents and grandparents to give to Jewish philanthropies, there is great concern that Jewish institutions will eventually face significant shortfalls. The perception of excessive salaries will only exacerbate the problem. We need a climate of confidence in our communal salary structures. To create trust we should begin by asking some important questions: Are executive salaries fair and appropriate? Are they necessary for an organization to fulfill its mission? Are they in keeping with Jewish values? These are questions to be asked both on a case-by-case basis and on a communal level. As far as fairness, organizations need to make sure that the processes determining top earners’ salaries are free from favoritism, self-interest, bias or deception. Also, for the sake of fairness and getting the best person for the job, the Jewish community, through education and formal resolutions, must create the expectation that every organization will examine gender bias in its salaries and hiring practices. We should also examine whether CEOs’ salaries conform to prevailing standards. There are several possible measures: How does a CEO’s salary compare to the other salaries within the organization? How does a CEO’s pay compare to leaders’ salaries at similar organizations in the Jewish world and beyond? What percent of the money raised by the organization, or of its total programming costs, goes to its leader’s salary? Salaries in larger organizations are often inflated by the fact that the board is typically composed of the largest donors (more so the executive committee, which generally sets the salary). To board members whose incomes are in the high six figures or more, paying a CEO several hundred-thousand dollars may seem appropriate, as they recognize that the CEO is doing a job as challenging as theirs. But they should be asking themselves: Would the organization’s median donors think that the salary is appropriate? As to whether the level of compensation is necessary for the organization to fulfill its mission, boards should think about the following criteria: Is the added value that this particular person brings to the table commensurate with the salary? Have we investigated the belief that we need to offer this much of a salary to attract the caliber of person we need? The overriding Jewish value is that boards are the financial stewards of freely given tzedakah, and as such they need to make sure that the money is used for the purposes for which it was given in the most efficient and economical manner. Boards need to remind themselves of this. The questions regarding fair and appropriate salaries, however, raise a larger issue: Today, many in the upper-middle class live a lifestyle defined by over-consumption and amenities that are not affordable to the large majority of the population. Nonprofit CEOs are exposed to this lifestyle by interacting with their board members. It is a lot to ask them to not want this lifestyle, especially when many work 60-hour weeks and spend considerable time away from their families. And yet, can we justify tzedakah dollars going to support this lifestyle? Our communal leaders should be role models, not models of the misguided value our society places on over-consumption and over-work. Our community needs to wrestle with questions of “How much is enough?” and “How do we create executive positions that allow for a balanced life?” If we do so successfully, we can provide a model for our whole society. Granted, striking the right balance will be challenging. Many of our nonprofit CEOs spend half or more of their time raising money. They need to have both self-respect and the respect of others. Given this reality, one might ask: In a culture where so much of both is tied to earnings, will leaders command the respect they need from donors and others if they are modestly paid? Jewish text offers us an alternative value structure. In our tradition, those who get paid a minimal amount for raising communal funds are put on a far higher rung than those who are well paid. We should draw on this wisdom. Pay is one kind of reward, but it is not the only kind. Making sure that communal work is honored and appreciated is the best way to attract the highest caliber of leaders to our institutions. 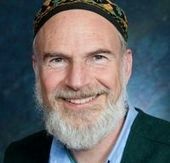 Rabbi Mordechai Liebling is director of the Social Justice Organizing Program at the Reconstructionist Rabbinical College. He is a former executive director of the Jewish Reconstructionist Federation and former executive vice-president of Jewish Funds for Justice. This story "Beyond Excess: Finding Better Rewards for Our Leaders" was written by Mordechai Liebling.